Do Your Customers Believe in Online Reviews? This is the final part of a 3 part series on the Olivia Plaza Hotel in Barcelona. If you missed part one or two, you can read up on part 1 here and on part 2 here, or download the full case study. 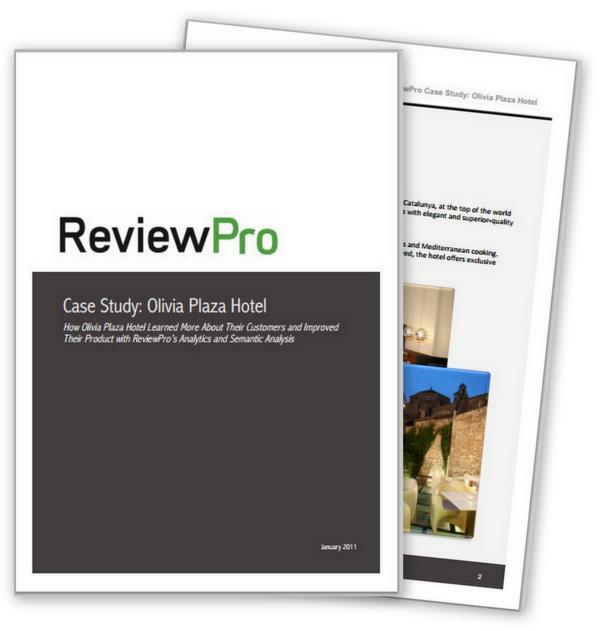 Olivia Plaza Hotel in Barcelona, Spain used semantic analysis to improve the hotel’s breakfast. “Through ReviewPro’s Semantic Analysis, we discovered the details of what people were saying about our breakfast online and, for the first time, were able to analyze the overall satisfaction with our breakfast offering. We found out that guests would like a bigger variety of options above all and that they wanted to have additional warm dishes”, says Ricardo Samaan, Revenue Manager for the property. Are you using semantic analysis to determine which aspects of your guest experience need improvement – and pinpoint how exactly to improve in those areas?